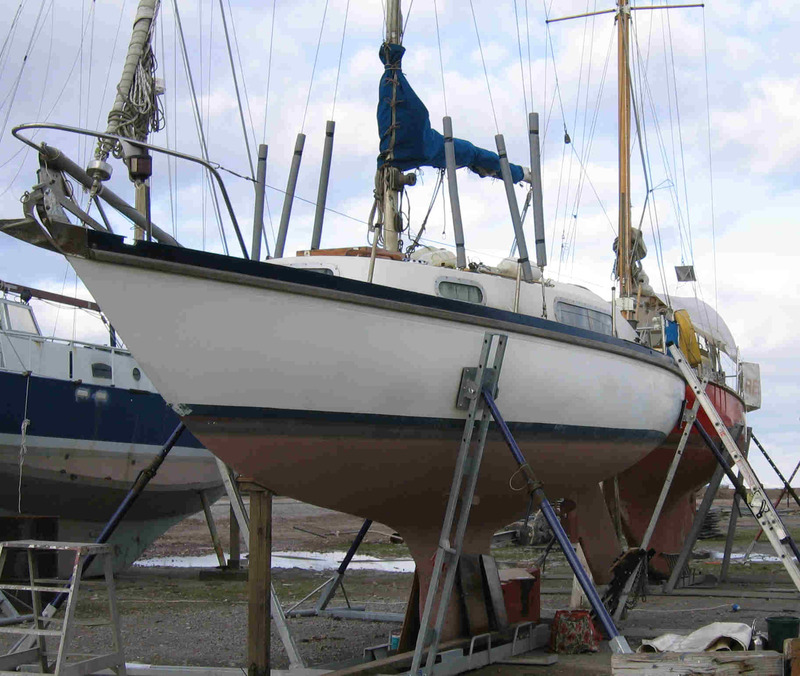 The properties of two part polyurethane foam make it ideal for buoyancy & flotation applications. This was first explained by the Greek mathematician and philosopher Archimedes in the 3rd century BC. According to Archimedes' Principle, a submerged body is subject to a buoyancy force (or upthrust) equal to the weight of the fluid displaced by that body. That's why a heavy ship floats – its total weight equals the weight of the water it is displacing, which exerts the buoyancy force supporting the ship. For example, if a boat is to carry 225kg (500lb) of equipment, fuel and passengers, it must be big enough to displace 225kg (500lb) of water without sinking below the surface. What Makes an Ideal Buoyancy Aid? The most obvious answer is something which extremely lightweight relative to it's volume. Expanded foams, wood and even air have this quality. From a practical point of view, air is difficult to contain especially if you have a leaky boat. Closed cell expanded foams like polyurethane and polystyrene offer the best solution as they are water proof and have a very low density (typically around 32kg/m3). Back to Archimedes Principle, a 1 cubic metre block of polyurethane foam would be sufficient to float around 970kg of weight. Handi Foam Slow Rise (SR) is a specially formulated 2 part polyurethane foam which is designed to cure more slowly than traditional polyurethane foams, allowing it to fill cavities more efficiently. 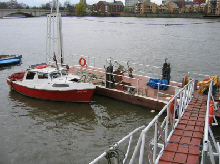 This makes Handi Foam ideal for filling voids in boats to prevent the ingress of water. Handi Foam is supplied in kits which, enable you to either spray the foam onto surfaces, or inject it into cavities where it expands and fills the cavity. 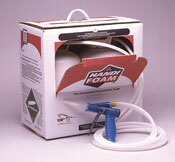 Handi-Foam is available in several kit sizes to suit your project. Please visit our product page for polyurethane foam kit information and prices. Can I Use Aerosol Polyurethane Foam? Aerosol foam is the type of foam one can typically buy at your local DIY store. It is a one part polyurethane foam, and is not suited to buoyancy because it has an open cell structure i.e. it is like a sponge, and will absorb water. This type of foam relies on moisture to cure which is why it has an open cell structure. Handi Foam is a two part polyurethane foam cures chemically and has a closed cell structure making it impervious to moisture. In fact, when sprayed to a depth greater than 3 inches, Handi-Foam has a permeability rating of less than 1!! 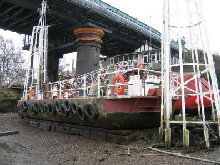 This is why 2 component foam is ideal for buoyancy and flotation applications.